Oh Julia! | My kitchen musings! One prep, two recipes + JULIA! Happy last day of August! (or at least it was when I STARTED writing this post. Ooops) This was a fun month filled with lots of day adventures and checking out some new and awesome places around the island. I’ll be doing a quick wrap-up of our month in the next day or so to share our journey through the island! So stay tuned! In the meantime, tropical storms Danny and Erika completely bypassed our fair island. I was hoping (not really HOPING) but looking forward to being rained in on Friday so I figured it would be a good time for a Julia recipe. I deviated from chicken, although I wanted to finish off that chapter first, and instead checked out the beef section because my supermercado had a great selection of eye of round. I made Boeuf À La Mode (beef braised in red wine). Doesn’t it just sound so much better in French! This recipe called for a 24 hour marinade of the beef in a red wine, vegetable, and herb marinade. 24 whole hours. Talk about flavor! Unfortunately I was unable to locate (as prescribed by Julia) a cracked veal knuckle or a split calfs foot. I had to settle for a modified pork rind. What can you do, right? I also filled up Gabi’s freezer stash today during one of her naps. It’s so nice having small bites around for when we head out on trips or need something quick to whip up. Gabi has been loving meatballs lately so I figured I’d whip up a batch. I had a huge packet of ground beef so I had the idea of knocking out two different recipes using similar ingredients to save time and get the most out of her nap time. 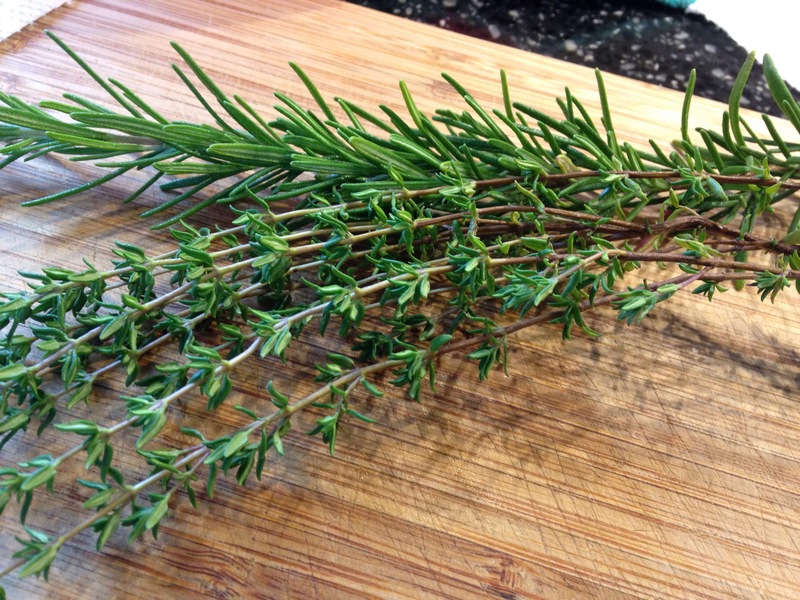 Nothing like fresh herbs from my garden! I used this recipe for the meatballs. I liked the idea of using quick cooking oats instead of bread crumbs. 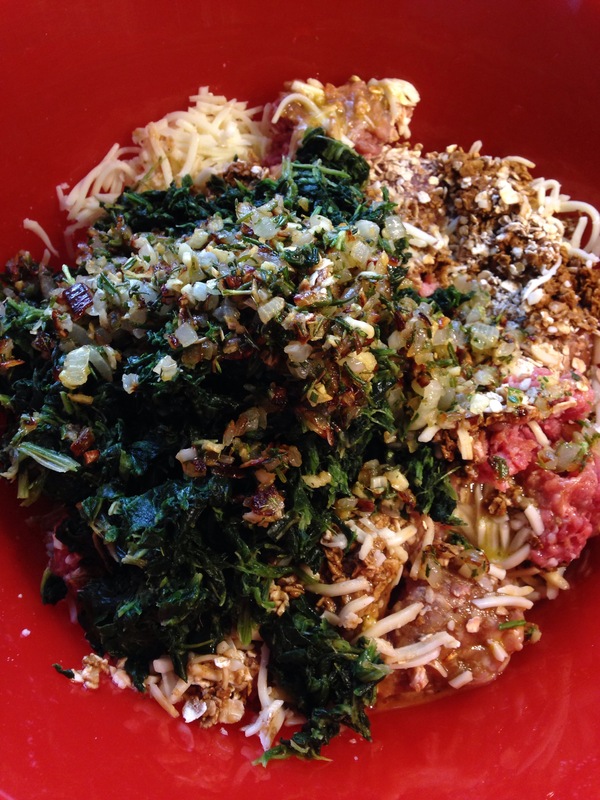 In fact, there’s an Ellie Krieger recipe I use for meatloaf that has the oats in it. 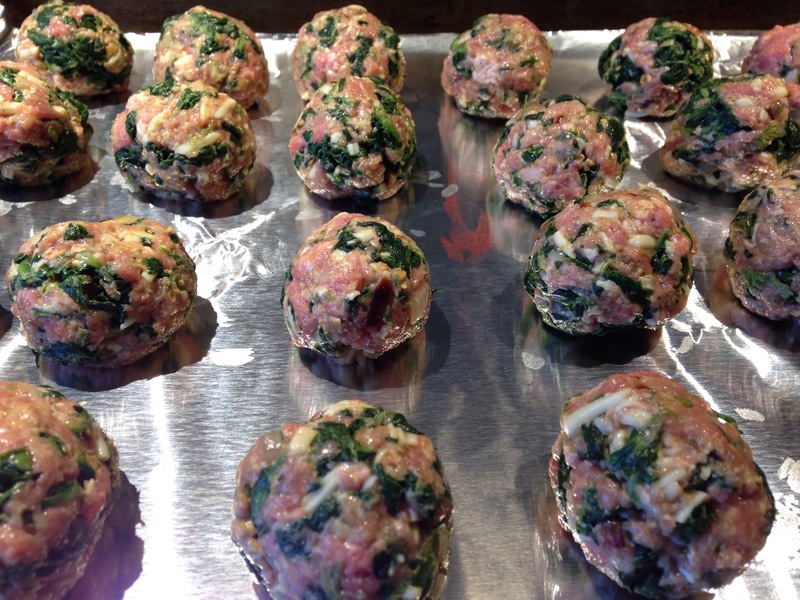 Also hiding the spinach (which Gabi is not quite a fan of) in the meatball is a great way to get those greens in her. For some reason I was craving pasta so I thought I’d do some ravioli for la nena. While I wish I could say I rolled out my own dough for this, sadly I did not. But one day I will take on making my own pasta! Is anything better than fresh pasta? I think not! Instead I cheated and used egg roll wrappers. The filling was somewhat similar to the meatballs but I omitted the oats and added ricotta for some ooey gooey cheesy goodness. 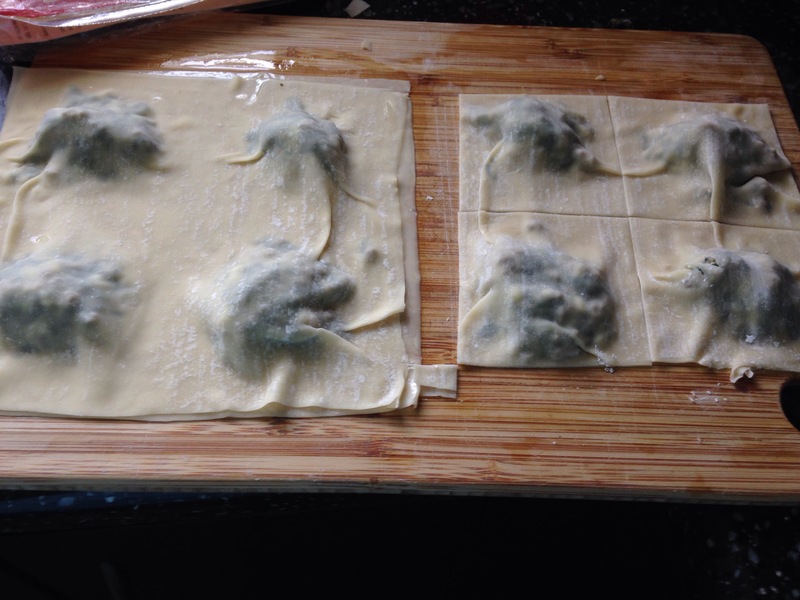 I found that you can fit 4 raviolis on a sheet and after some trimming, they come out to a good size. not the best pic but you get the idea. I did ravioli once before using wonton wrappers and it turned into a big gooey mess. Not quite sure what I did but the wrappers just didn’t hold together. I haven’t tried these out yet but I’m hoping for a better outcome. Fingers crossed. I’ll keep you posted. 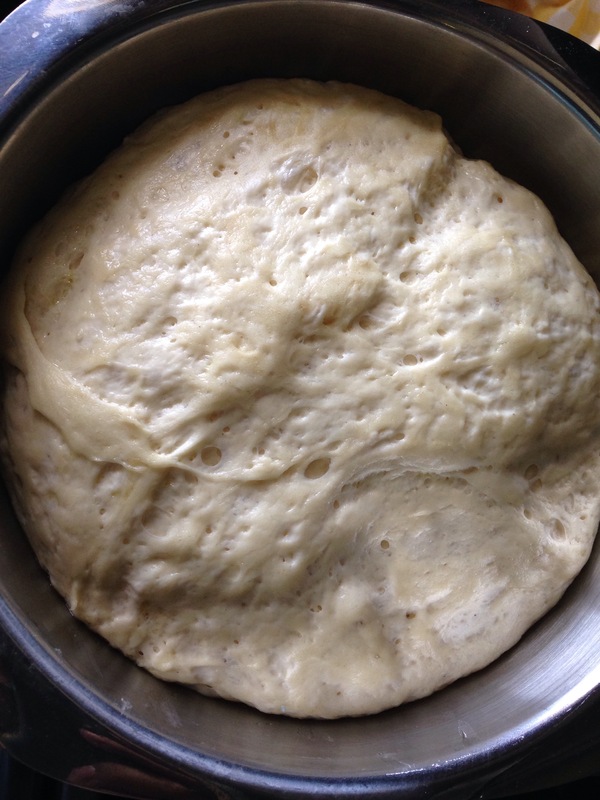 its’s amazing how much dough tises and how light snd airy it is. gotta have a Gabi pic! 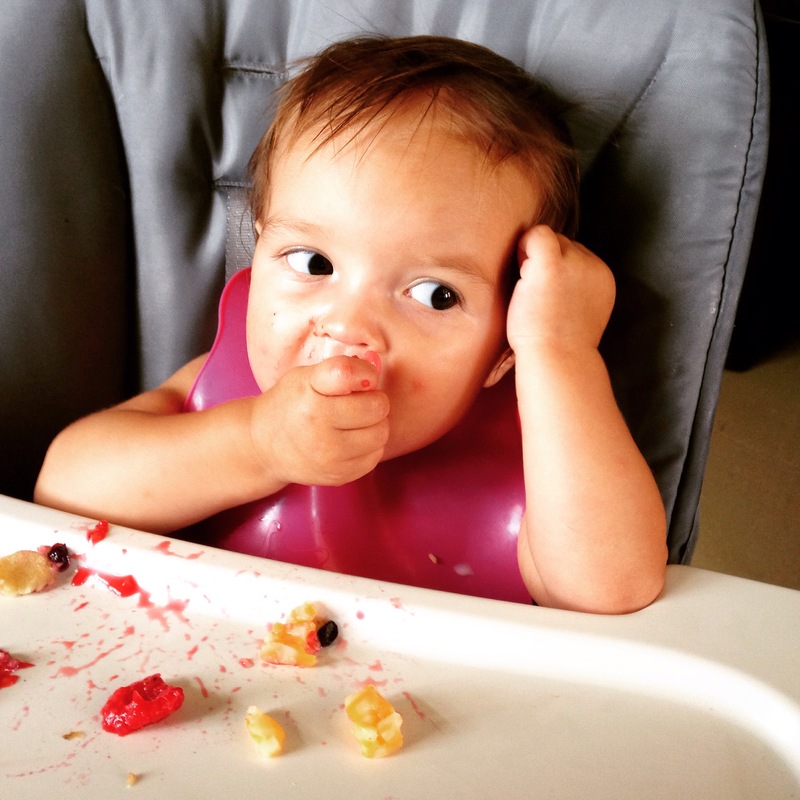 First time trying raspberries and she gobbled them all up! For those following along (thank you!!) TS Erika came and went with pretty much nothing to show for it. Which is both great and not so great. pre storm pic from our local beach. Great in that there wasn’t any damage to our home or surrounding areas but bad in that we didn’t get nearly enough rain to help with the ongoing drought and water rationing that’s happening in San Juan and surrounding areas. In fact, it’s early afternoon and we still haven’t gotten rain. 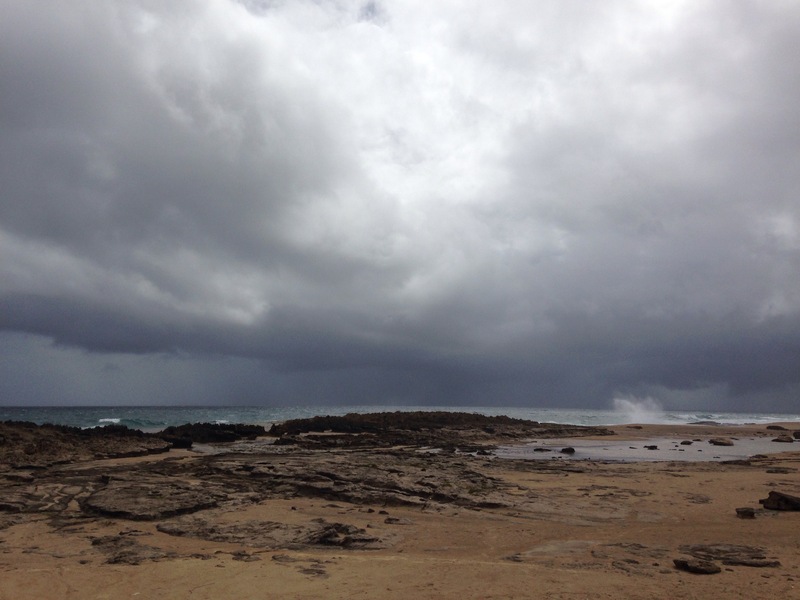 With all the hoopla surrounding Erika it was a a bit of a letdown that nothing happened. They were so sure that something was going to hit that the government enacted ‘ la ley seca’ or dry law. This is a law that is enacted during bad storms that stop the sale of alcohol for a duration of time. In this case: noon yesterday to noon today. I guess hurricane parties were getting way out of hand the last few years so this is the way PR is trying to shut it down. Funny though seeing folks stocking up days before the storm. Guess it’s not really helping. So this is what we looking at yesterday about 20 minutes after the sunshine pic was taken. So it’s Friday, about 4pm and we’ve only had one shower. Seriously a bummer. 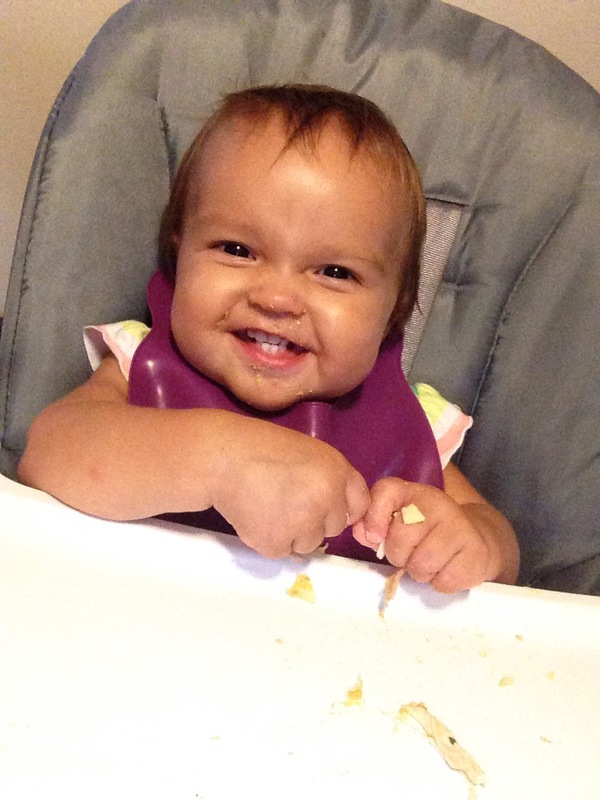 I was hoping for rain all day, which meant Gabi would (hopefully) sleep all day and I could get lots of cooking done. Yea! Well, it didn’t happen. I did, however, get a Julia dish in the oven (boeuf a la mode — beef braised in red wine). 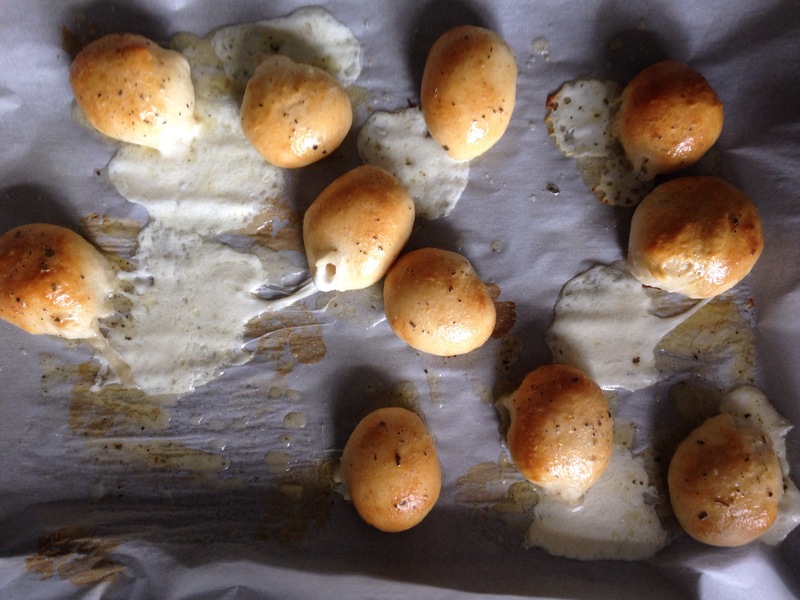 And I also attempted these Cheese bombs but I think I overstuffed them. Regardless, they were Oh. So. Yummy! 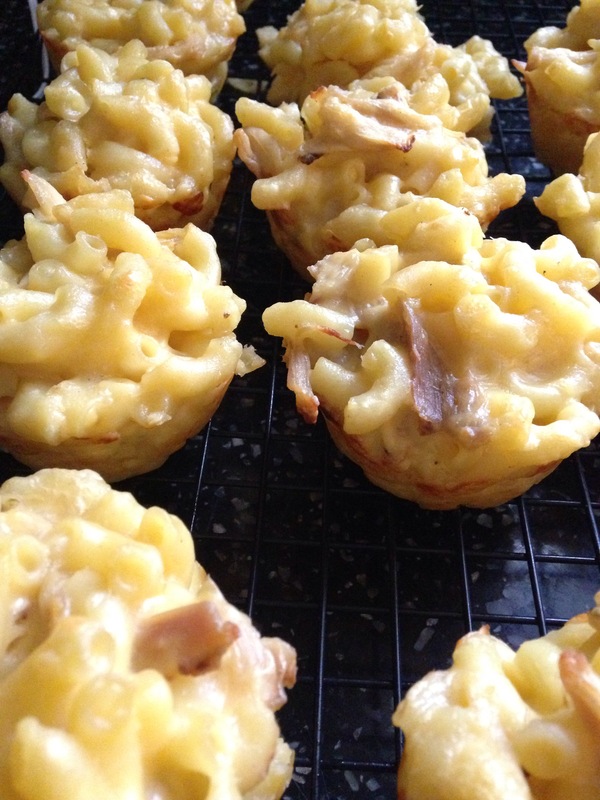 And I also whipped up some chicken and Mac & cheese Muffins from my _toddler on the go_ cookbook. So all is right with the world and we’re dry. More info on Julia’s recipe this weekend! I am happy, happy, HAPPY to report that Julia Child has come back into the cooking repertoire! And what perfect timing with it being her birthday!! Wednesday night’s (because what better day to cook a Julia recipe than hump day, right?) 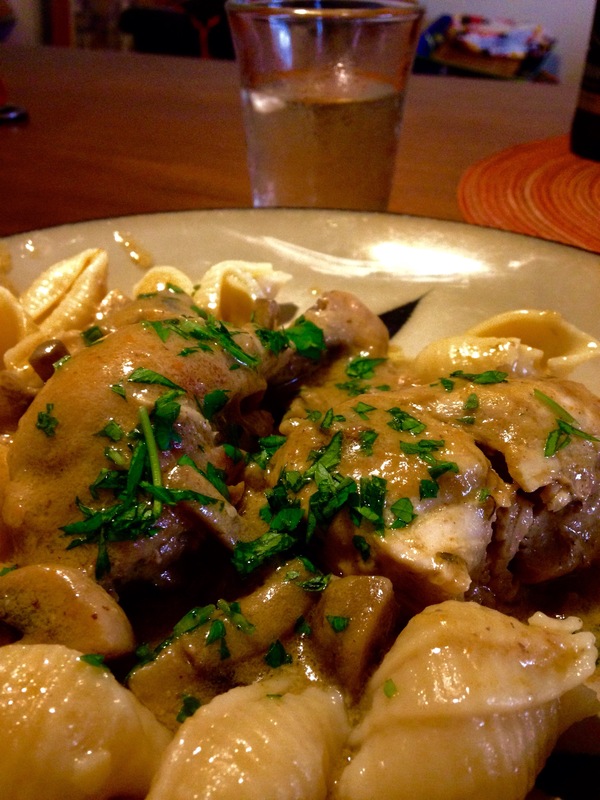 Julia recipe was Fricassee de Poulet A L’ancienne (Old-fashioned chicken fricassee with wine-flavored cream sauce, onions, and mushrooms). Yep, a mouthful and man– was it a DELICIOUS mouthful! 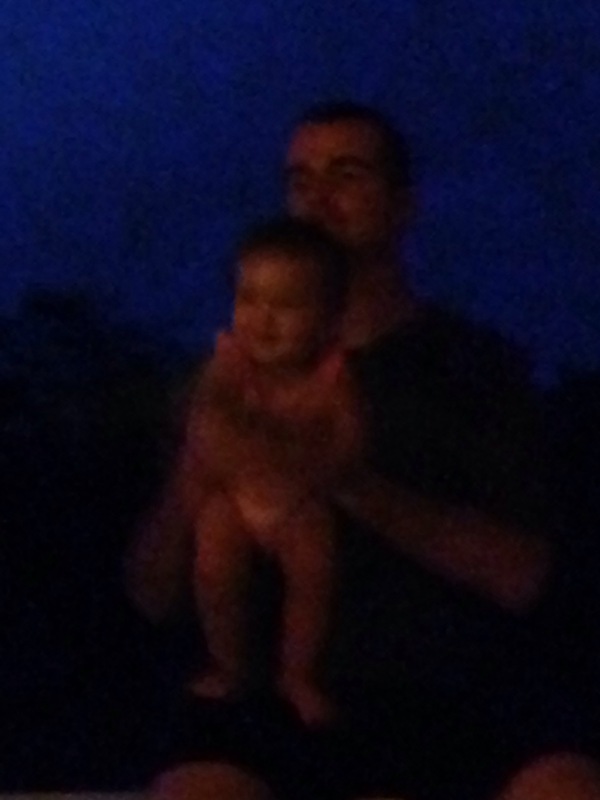 **Disclaimer–I hope you don’t mind, but I’m not really good at taking pics WHILE I’m making my dishes. I’m pretty good at maybe doing a “right before it goes into the oven” shot but I just really don’t think I can take photos of the “in-progress” moments and actually make them look appetizing. If you’d like play-by-play pics let me know and I will work on my photography skills. Hmmmmm…that may finally give me incentive to do those online classes I purchased last year!! So back to Julia. This is just my 4th entree that I have been tracking since maybe moving to Puerto Rico. I know, so not a good track record. 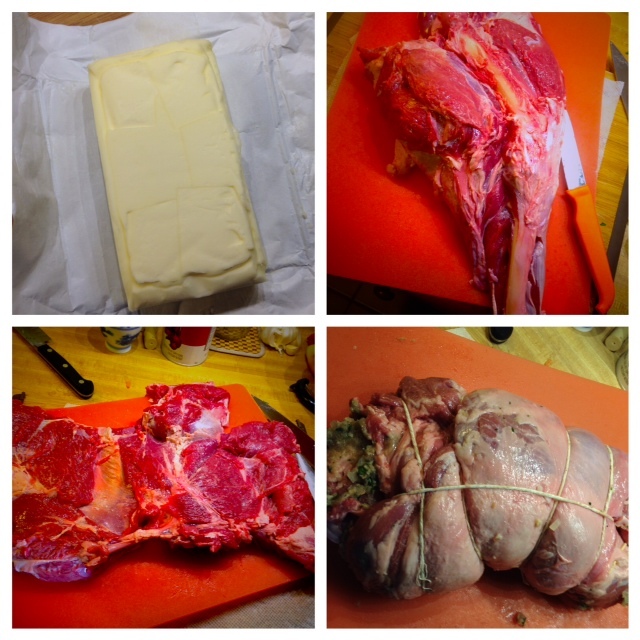 This is what I have done so far, and I will be (trying) to find the recipes online to post in another tab in case you get the urge to try out some butter. And cream. Oh, and good chicken. See what I mean about butter. And cream? And more butter!! This has to be one of my absolute favorites. Just so you know, I have cooked through about 15 or so recipes already while we were living in the upper 50’s, I just never wrote about them other than posting a pic on Facebook. And let me tell you: going back and re-doing some of these is going to make this chica (and my husband, father, and baby girl) a very happy person! I have a thing for flagging cooked recipes So many recipes! So this is the thing about Julia that may scare off people if you happen to thumb through her 650+ page cookbook: she’s wordy! One recipe can be upwards of about 4-5 pages. And then she also includes variations to main recipes. AND THEN she’ll also throw in some sides that will go well with the dish and that can be at least a page long. I found this blog post that pretty much sums up what I’m talking about. The line that really drives Julia home is, “…Julia’s recipes were written for a rigorous cook with endless patience for serious detail.” Yet, I LOVE it! It’s sort of like she’s talking you through the recipes, step-by-step, as if she’s in the kitchen with you. There’s no guesswork or holes; what she says (or rather writes) is literally what you do. Her use of language and words to describe food makes me smile. Yep, I’m a dork. After about 3 hrs (on and off – Gabriela was not in the mood to fully cooperate) of slowly braising the chicken, steeping mushrooms, and straining all the yummy bits, we were left with the must luscious and velvety wine-cream sauce that was just rich enough to make you want to keep sopping it up with the pasta and chicken but not too rich to make it feel heavy. There was a perfect balance. This is the genius of Madame Child. I am really, really hoping that this will indeed kick-start my love affair of all things French (food, at least) that I will be dedicating one day a week to Mastering the Art of French Cooking! Passed the Gabriela tatste test! back in the saddle, er, KITCHEN, again! so it’s been a long, long while since i’ve been cooking again. It’s quite different really finding ingredients here in Puerto Rico so I’ve been having a hard time trying to figure out what to make. Needless to say i’ve been leaning towards the old standby of chicken. And chicken. I’m hoping to ask around and see if there is a place to procure some yummy beef and pork. Hopefully. Soon. So, I’m heading to my old standby favorites this week for our dinners. Tonight I am making some good ole spaghetti and meatballs. Yum comfort food. Tomorrow I’ll be hitting up my 50 Shades of Chicken cookbook and then finishing the week of with Lucinda Scala Quinn’s Feeding Men and Boys. Classics. So being that I am getting back into the swing of things, I’m stealing an idea from this month’s _Food Network Magazine_. 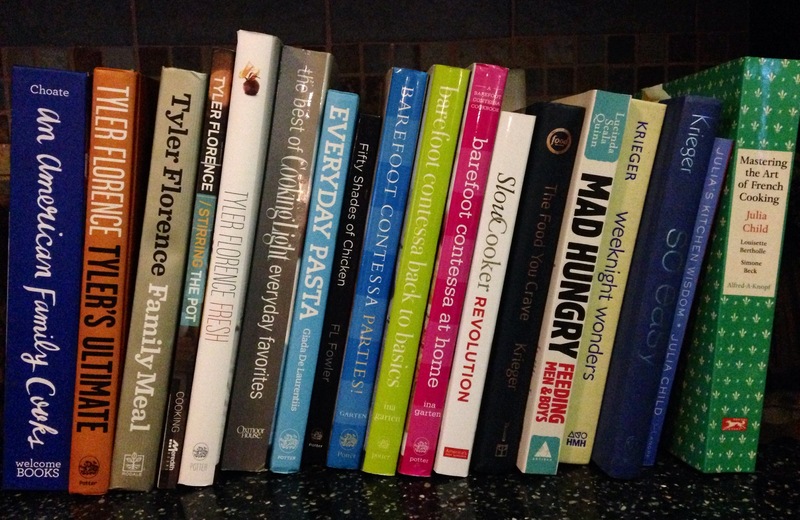 They have started a new column highlighting a celebrity chef’s cook book library. The first “chef” is non other than my girl Ina Garten. Her library is amazing. She built a whole room just for her books. And cake stands. I love Ina. So in the spirit of getting back in the saddle, celebrating the new Food Network piece, I thought I’d share my (little) cookbook library. Please bear in mind that we have just moved so my collection has downsized. Dramatically. But I think it was a good thing because these just represent my all-time favorite books. So I hope you enjoy these next few months as I dive back into my cooking and maybe one of these will grace your bookshelves. yes– Lamb won out on the “what to cook for my dad” list. 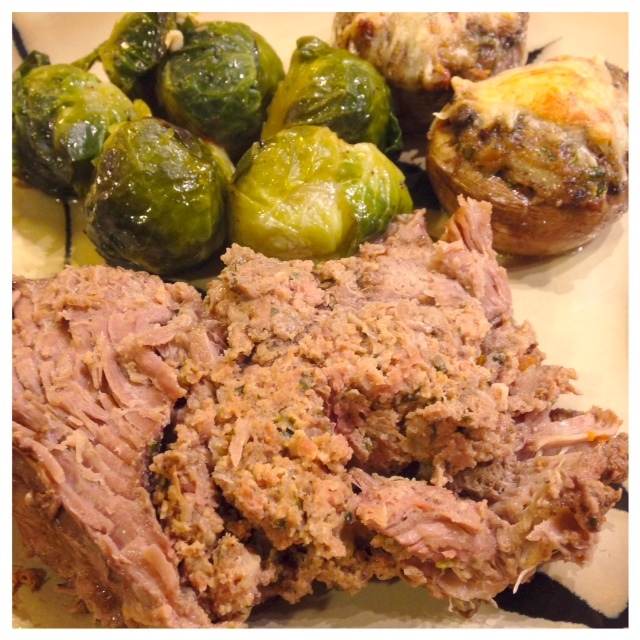 It was a leg of lamb stuffed with a pork and herb stuffing, braised in wine and stock accompanied with buttered brussells sprouts and stuffed mushrooms. Also known as: Gigot ou épaule de pré-salé, farci (stuffed leg of lamb), stuffed with farce de pork (pork and herb stuffing) cooked Braisé (braised) with champignons farci (stuffed mushrooms) and choux de Bruxelles étuvés au buerre ( Brussels sprouts braised in butter). Yep- a mouthful and Oh. So. Yummy! So I was up at 7 in the morning last week Thursday to get the dinner going being that I had to work in the afternoon and I needed at least 4 hours just for the lamb and about an hour each for the sides. Is that dedication or sheer craziness? I’ll leave that one to you. This was my second time boning a leg of lamb. The first time was when my brother and nephew came to visit and I must say that I not only butchered the leg (and not in a good way) but I also overcooked it. Epic fail. I figured a take two was in order. With help from my dad on the best angle to get the bone out, I was able to cut the sucker out AND butterfly the meat a bit to help get the meat even. Then the stuffing was piled on and the hard task of rolling and bundling the lamb commenced. I think I may have put in too much stuffing but it was oh so good! I think it turned out pretty good! Julia is ALL about B-U-T-T-E-R! The stuffed lamb braised for about 4 hours in a delicious red wine, beef stock, and veggie based broth, turned it every 30-45 minutes. After that– it’s done! Too easy! The photo really doesn’t do the dish justice but you can see the Brussels Sprouts and the deliciously cheesy stuffed mushrooms! I absolutely recommend a crunchy french baguette to sop up the rich, delicious juice from the meat! Needless to say…we were stuffed. And HAPPY! So I’m really not one of those folks who gets uber excited about Halloween and what sort of costume I can make/sew/conjure/create…I’m just not 1. that crafty or 2. really that interested. All you folks out there who can create amazing costumes and totally bring Halloween to life, I tip my hat to you. It was sheer anxiety the last month or so in the Vizuete/Kaffenberger household becasue the magazine I work for was holding its 2nd annual halloween/Patron Party and I had to go. The horror of it all, let me tell you. So after multiple days of staring at the laptop looking for “couple’s costumes”, I was just about to throw in the towel when I decided to take a little break. 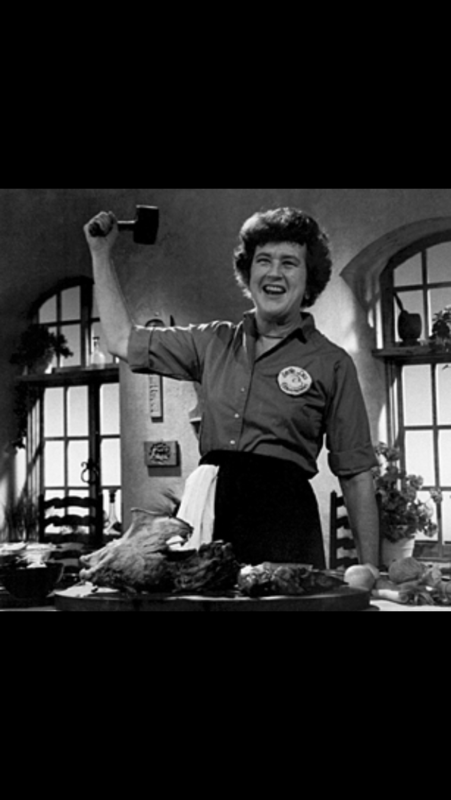 One morning, at about 4.15 (my husband works way too early every other week and I somehow manage to wake myself up at the same time as him) as I was staring at my ceiling wide awake, it came to me: Julia Child!! Yes my friends, I went as Julia Child. I thought I pulled it off pretty well (well, other than being hispanic and really brown because of our beach weekend and I’m only 5ft 6…and a half) but alas, I did not gauge my audience and a lot of people kept looking at me like I was the one catering the party. Oh well. It was fun creating the costume and especially a great memory as both my husband and father helped me put it all together. 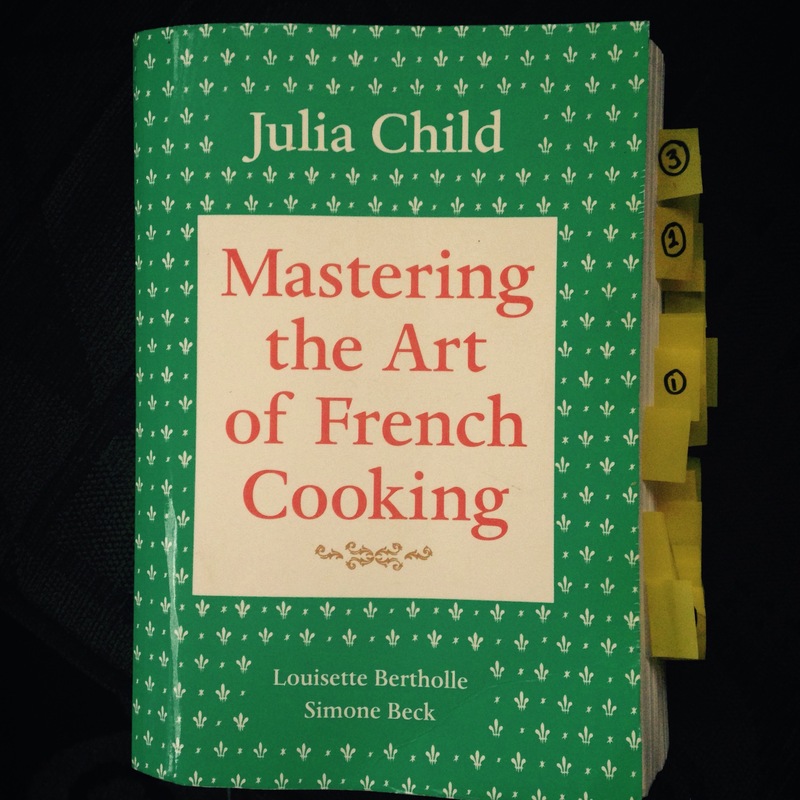 oh Julia…So yes- I am one of those crazy foodies who is absolutely in love with Julia Child. Not that I have ever met her or anything but after the movie _Julie & Julia_ came out I was OBSESSED. And it wasn’t really the movie that put me over the edge but rather just the influence Julia Child has had on (most) of the cooking world. Ok- maybe some. I guess the movie just really sparked my interest in it all to a whole other level being that I was really getting into the cooking thing. So fast forward a few years and I ended up reading a few books by Julia and others about her. And that also helped my fascination grow of her. So here I was living in Dothan, Alabama (a relocation from Phoenix, Arizona) and I was planning our wedding (which was happening in St. Louis, Missouri) and I didn’t have a job because I was lazy traveling to St. Louis every moth for a week at a time getting all the details together and finalized. Hey- I think it was a fabulous excuse. 😉 To pass the time and add some more interesting things in my life, I decided to cook through Julia’s cookbook. Albeit I was not as ambitious as Julie Powell to do it all in a year but figured I could knock out a recipe a week. And let me tell you…spending on average 3-5 hours making one dish was absolute heaven to me! And made me really not want to have a job anytime soon. 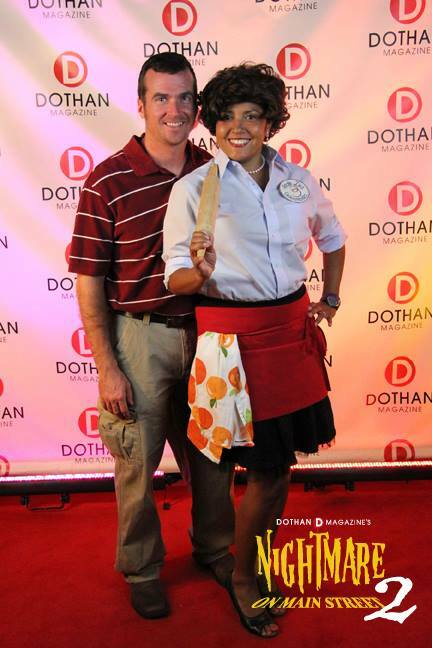 So fast forward to 2013 and wouldn’t you know it, I got a job: part-time at Dothan Magazine as the assistant to the owner and also in charge of distribution. While this is a part-time gig I don’t get home till almost 5pm and cooking a 3+ hour meal just really wasn’t happening. See– I’m really not that committed. PLUS- when the husband is working mornings he normally heads to bed at 8 so we need to eat early-ish. So needless to say, Julia got shelved. So I tried cooking on the weekends but that sometimes didn’t work either due to beach time. And more beach time. 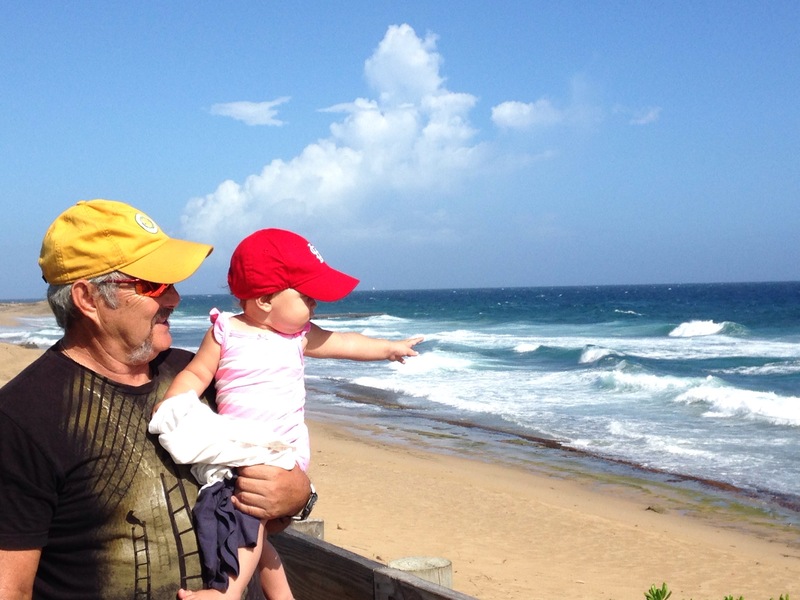 Did I mention we live 90 minutes away from the beach? Lovely perk for living in an itty bitty town! Another reason for this blog about food was because a good friend of mine who I worked for and with while at ASU, Paige, posted one day on Facebook that I should blog about my Julia nights of cooking. Whenever I would do a Julia recipe I’d post about it onFacebook. It seemed like a great idea– so here we are. Along with my recommitment to blogging regularly, I am also committing to doing a weekly Julia blog. My dad is in town this week so I will definitely be doing a Julia recipe. Oh what oh what should I do…Chicken? Beef? Lamb? hhhhmmmm…. Ps- I’ll be keeping a list of all the recipes I have done so far as well as the ones I’ll be doing from this point on. If I can find the recipes online I will also post a link but you can always refer to her fabulous cookbook!